Its taken a few years but I’ve finally filled a MAC palette. At £10 a pop these aren’t exactly the cheapest shadows on the market. I mean £150 for an eyeshadow palette (plus the cost of buying the palette to hold them in) is an insane amount of money. However, I’ve managed to pick most of these up either in blog sales/during debenhams promotions/with my debs reward points and from birthday/Xmas gifts. I still have the old style palette, I know they’ve updated them since. I think you have to buy the insert separately now? so more expense basically! I generally find MAC shadows to have good pigmentation. The matte shadows tend to be on the drier side but still have good pigmentation and are long wearing. Below, I have a little rundown of the shades I own, the ones I consider to be must haves and some known dupes. Shroom – a light beige with shimmer (satin finish) – soft, smooth & pigmented. The swatch doesn’t do it justice. A must have neutral. Known dupes: wet n wild walking on eggshells palette (lightest shade), makeup geek shimma shimma, milani classic beige. Brule – creamy beige (satin finish) – soft, smooth & pigmented but slightly on the powdery side. Known dupes: milani almondine, wet n wild brulee, urban decay foxy. Yoghurt – soft pale pink (matte finish) – slightly dry but well pigmented. 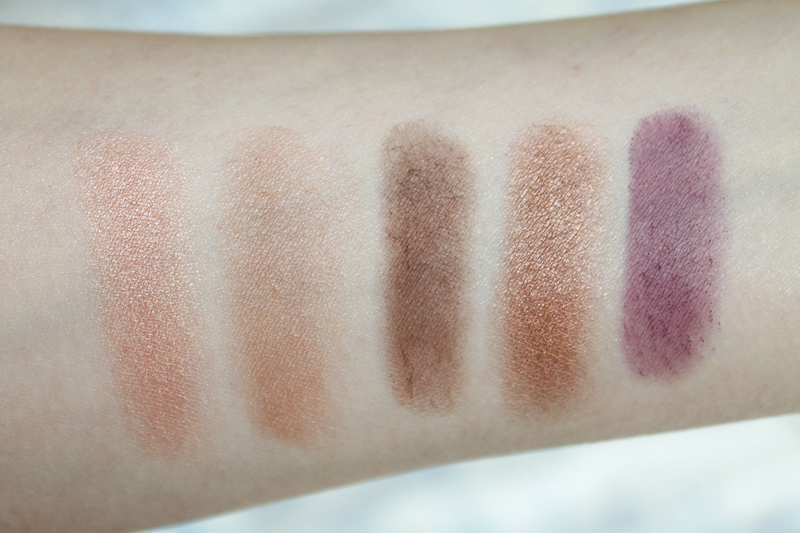 Known dupe: wet n wild lust palette (light pink shade). 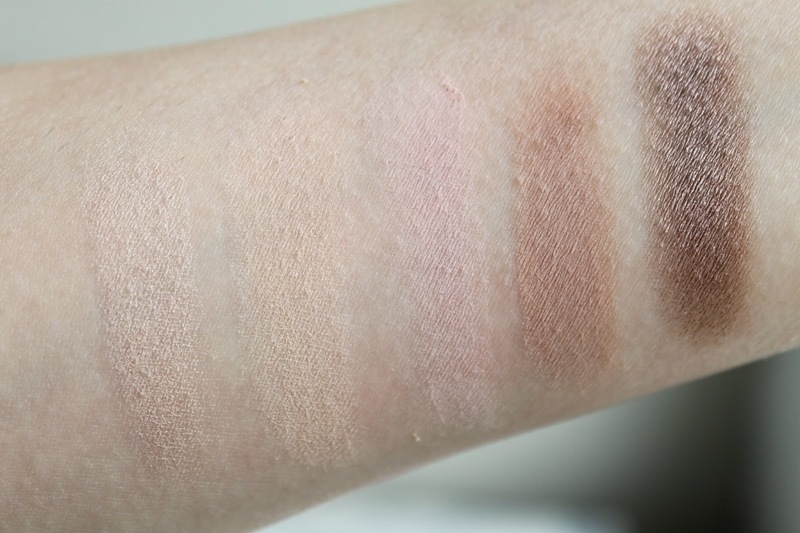 Malt – neutral beige (matte finish) – slightly dry but good pigmentation. Know dupes: wet n wild lust palette, milani french vanilla. Satin Taupe – cool toned mauve taupe brown (frost finish) – soft, smooth & pigmented. A must have. Know dupes: wet n wild nutty, inglot 402 pearl, nyx iced mocha. All That Glitters – soft beige with gold pearl (veluxe pearl finish) – soft, smooth, pigmented. A must have. Know dupes: urban decay sidecar, nyx champagne, cover girl mink. Era – soft golden beige (satin finish) – buttery smooth, soft, pigmented. Very underrated & a must have neutral. Known dupes: chanel fauvre. Espresso – muted gold brown (matte finish) – slightly dry but pigmented. Known dupes: bobbi brown chocolate, sleek storm palette (matte brown shade), body shop brow/liner kit in brown. Bronze – bronze (frost finish) – soft, smooth, pigmented. Know dupes: nyx deep bronze. Fig 1 – true purple (matte finish) – slightly dry but pigmented, though not as much as other shades. 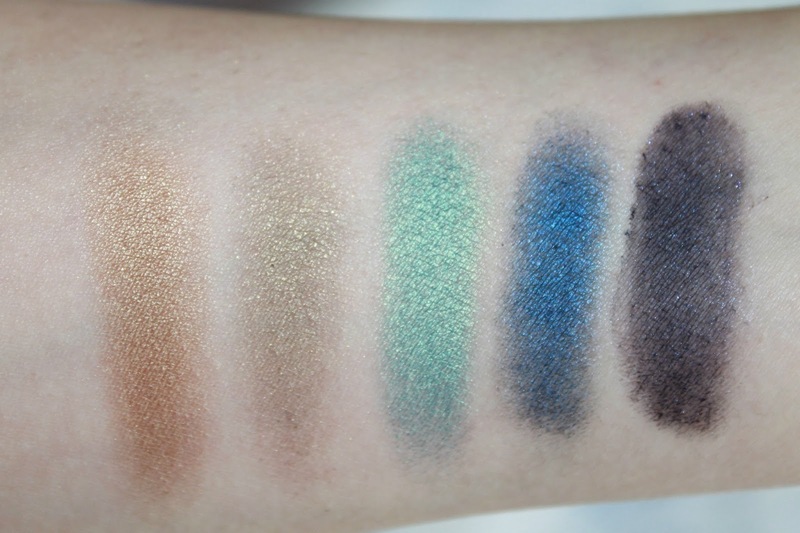 Know dupes: wet n wild lust palette. Sumptuous Olive – olive green with gold pearl (veluxe pearl finish) – soft, smooth & pigmented. Known dupes: milani antiqued gold, inglot 433 pearl, nyx herb. Greensmoke – greyish green (lustre finish) – I think mine has turned into a dud over time as it now feels really dry with a lack of pigmentation. I’ve had mine a while but I’m pretty sure it wasn’t like this when I first bought it. Known dupes: maybelline mad for mauve palette (green shade). Steamy – blue green with gold pearl (frost finish) – smooth, soft & pigmented. Known dupes: nyx jungle fever, milani clover. Deep Truth – true metallic blue (frost finish) – smooth, soft & pigmented. Known dupes: nyx atlantic, milani blue my mind, inglot 428. Contrast – dark navy blue with blue pearl (velvet finish) – slightly dry but good pigmentation. Known dupes: nyx morocco, nyx lake moss trio. My favourites from these are satin taupe, shroom and era, though I do enjoy using the matte finishes as I find them really long wearing. The only bad shade in these is greensmoke but I’m not sure if its because I’ve had it a while. I probably need to repurchase as I’m sure it was better quality when I first purchased it. Overall, MAC shadows are good quality, though some are better than others. I still have quite a few more shades on my wishlist. What are your favorite MAC shadows? Add more glamour and flair to your natural lashes. Visit the salon to get professional eyelash extensions Honolulu done quickly and expertly. These lashes are applied carefully after you select the length you like best. They come in short, medium and long lengths. These quality lashes are made to last for weeks and give you the beautiful, easy-wearing look you want for everyday wear or just for special occasions. Make an appointment now. Your lash technician will work with you to select the style and length that you like best and that flatter you most. Once you choose them you simply lay back and allow the procedure to take place. It is safe, painless and you will come away looking stunning. You need to care for them as you are instructed in order for them to last as long as possible. Extensions can fall out if they are not handled right so be sure to ask us any questions about their wear before you leave. When you want to remove them or replace them with a different style you can take them off yourself or visit us to have them removed gently and have new ones applied in their place. « the perfect hair oil?